By Tiger Watch - 47th Poacher. ..
Ranthambhore’s first officially recorded Tiger Poacher; Gopal Mogya was Re-arrested with tip from Tiger Watch sources by the Rajasthan’s Forest Department and Tiger Watch team. Gopal was active in 1992 around Ranthambhore. He was arrested in 1992 by the Rajasthan Police with a tiger skin. Gopal was put on court trial for tiger skin possession, but soon was released on bail. During this time he declared himself dead. The Lucifer emerged with a new name of Parsadi Mogya and relocated himself to Sariska Tiger Reserve, near Gola ka Bas [Tiger Watch knows the exact place where he was operating from in Sariska; This is very important for further investigation. If anybody wants to investigate further]. Need not think of Gopal as a an aged person....he has a 1 1/2 old child today, he is fit and fine. He told about poaching tigers and leopards which would send chills through your spine. The way he killed a tigress which was caught in a foot trap by throwing stone from above, the way he killed leopard barely 4 months ago by hitting it with sticks to death after it was stuck in a iron leg trap. In words of Ashutosh Mahadevia, Secretary, Tiger Watch; Gopal Mogya was a ‘Dream Poacher’ on the hit list of Tiger Watch. 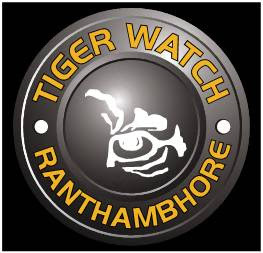 Tiger Watch team wanted to arrest him before Fateh’s Biography was completed (Soonoo Taraporewala is writing a biography on Fateh. Friends and acquaintances can send any relevant information to Soonoo on soonoo.taraporewala@gmail.com). In 1992 Fateh was the one who had got Gopal Mogya arrested and today once again after 18 years he was re-arrested by the Tiger Watch team, this shows how synchronous Fateh Singh Rathore is and will be. ..
1) After a period of 18 years the arrest of a poacher. Law is powerful but determined people are required to impose the it. 2) How much ever Fateh and his team is ignored they always come out with relevant ground results, that is one of the core reasons why even to date we have tigers in a fragile park like Ranthambhore. 3) This was a link between Ranthambhore and Sariska, Gopal's own sons are married in Sariska and his brother's daughters are married in Ranthambhore establishing an important link in the Mogya community. 4) Post Gopal's arrest and the India Today artilce published in 1992- 93, there was a wave. This was the time of the second tiger crisis in Ranthambhore and India understood the problem of poaching. Media started talking about poaching. 5) Some Anti-poaching organisations emerged after his arrest in 1992 (WPSI and WTI). 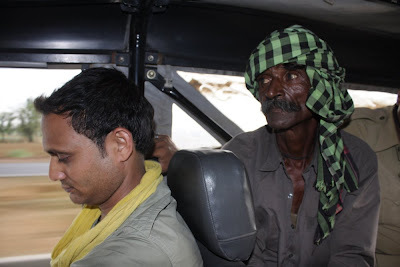 Gopal Mogya arrested and taken in Tiger Watch Vehicle by Tiger Watch's active volunteer Lokesh before being handed over to the Rajasthan Forest department. And the Turn of Events in the Gopal Mogya Case as on 24 July 2009. ..
Post the arrest of Gopal Mogya by Tiger Watch and Forest Department, there was a fear that in the interrogation it would be impossible to crack Gopal’s identity as he had declared himself dead and was in a new alias of Prasadi Mogya. But in the Forest Dept. interrogation Gopal confessed much more than his real identity. He confessed to the Tiger Watch information of his link with Sariska and also the names of his gang members. The big revelation was that he was a police culprit in 1992 but he was a 2004 criminal of the forest department. Mangya Mogya had told about Gopal in 2004 and similarly according to RS Kumat committee of 1992 ‘Inquiring into Missing Tigers’. On 26th june 1992, Gopal was arrested and this was seen as a grave issue and the Rajasthan government set a one man committee of the Principal secretary of the Revenue Department, Mr. R S Kumat, to report the inquiry in to missing tigers. ‘Inquiry into the Missing Tiger’ report was nonsensical; but point to be noted from it was that Gopal had spoken about Mangya to be a part of his gang. 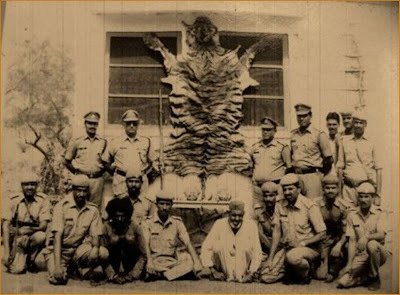 Superintendent of Police records stated that from 1989 to 1992 the gang killed 15 tigers from Ranthambhore. Around that time Gopal confessed in 1992 - Earlier this year, Gopal Mogya, a poacher, was caught with a tiger skin in Ranthambhore forest by the police. Mogya revealed he had trapped the tiger and killed it and admitted that he and his brother, Shanker, had killed eight tigers and a leopard last year. Shankar’s Mogya’s real name is Salma (Gopal Mogya’s real brother). He is now living in alias of Badri Mogya in Uttar Pradesh. Salma is as dangerous as Gopal. Salma has 6 daughters of which 2 are married in Thanagazi village of Sariska. And 2 are married off at Ranthambhore, to Rajmal Mogya’s 2 sons. Rajmal was caught red handed with Sambhar meat in 2005 during the ‘Operation Co-operation’. This creates a clear indication that there is a need for documentation of the poachers’ identity and their relations and backgrounds. As we are not getting new poachers, since as long as 20 years same poachers are active in the areas. In yesterday’s development Ramsingh Mogya and Praladh Mogya are nabbed. Ramsingh is Rajmal’s son, and Salma’s son-in-law. I am very glad the poacher has been arrested and the numbers of tigers and leopards he s killed is shocking. I hope strict vigilance is carried out at parks. We should be thankful for having active and agile NGOS like TIger Watch that believe in catching the bull by its horns. I indeed appreciate your efforts to help conserve Wildlife havens and equally thankful to TigerWatch.A very big Thank You.